Satellite can be used as an alternative to RF or Cellular Communications. It may be that the application is hosted in a very mountainous area or out at sea where there no cellular coverage and distance prohibits RF point to point communication. A satellite orbits the earth in an elliptical manner around two points known as foci. Earth is situated at one of the foci. The force applied to the satellite is not equal as it orbits the earth and the speed of the satellite changes constantly. It moves faster when it’s closer to the planet and slower when it’s further from the planet. There are many types of Satellite currently in use. 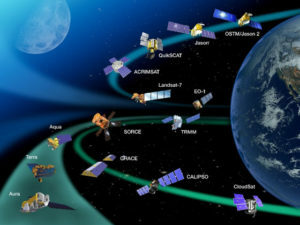 The ones we are most familiar with are Broadcast Satellite which broadcasts Television signals and Weather Satellites which help us forecast the weather. 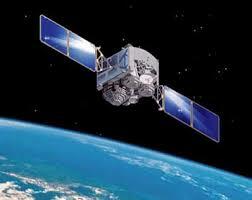 Other satellite in use are Communications, Military and Navigational, Rescue and Scientific Satellites. One of the Satellites used for data communications is the Iridium Satellite which is used for phone and machine to machine (m2m) Satellite Communications. It costs less then others making is suitable for data communications. As with other forms of communication you should check the type of application you are using and the location before deciding on Satellite.